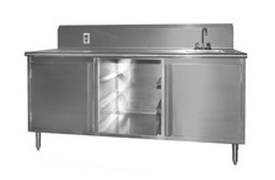 We can custom create your stainless steel cabinets in a wide range of shapes, sizes, and finishes. We can produce a single cabinet, or mass produce many copies. Whatever you need – we are here to help! 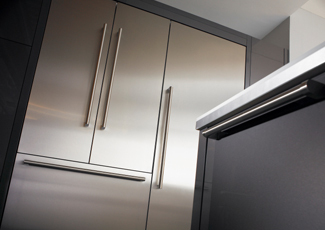 Stainless steel cabinets come in many finishes. One benefit that customers really appreciate about choosing stainless steel cabinets over wood or other materials, is the durability. Virtually maintenance free, your stainless cabinets will look good for many years to come with minimal effort! 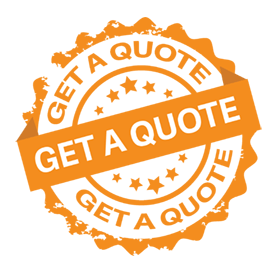 Your local experts for anything and everything made from stainless steel. 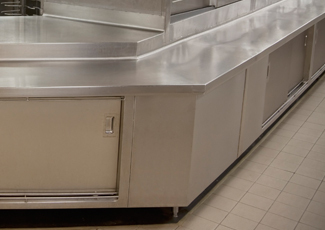 From tables, cabinets, and railings, to custom stainless fabrication and complete NSF commercial kitchen installations – we can do it all!